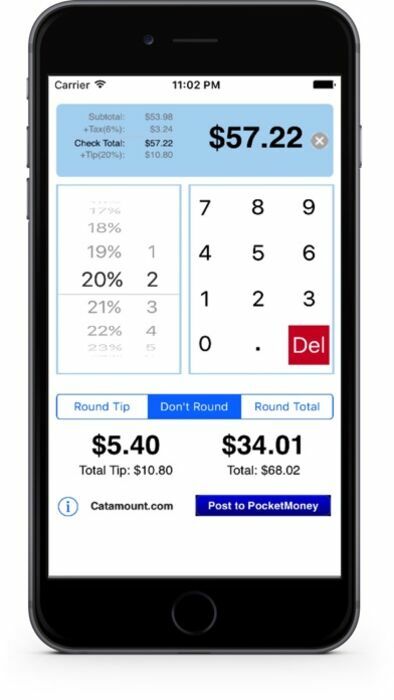 Checkplease is the top tip application on AppStore for calculating the tip or splitting a bill between multiple people. - Quick and accurate calculation of tip. - Option to not tip on the tax. - Round tip, round total, and ability to always round up. - Split the bill among multiple people. 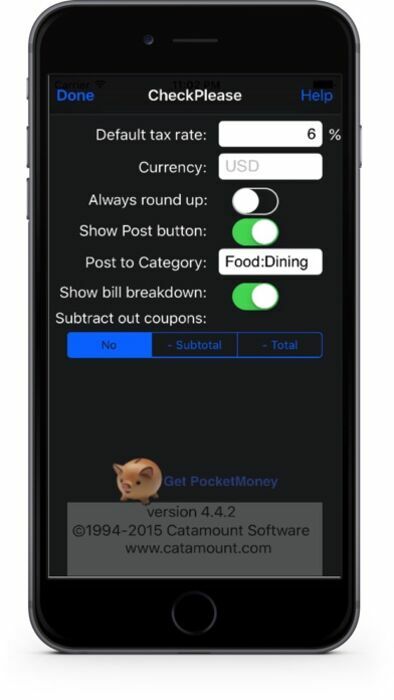 - Uses your local currency or optionally pick a currency. 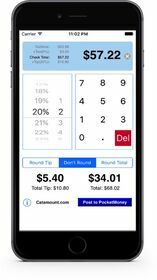 - Full version has a new "Heads up Display" for entering the subtotal, tax, check total, and specific tip amount on the main screen. - Full version does not display ads. CheckPlease™ has been calculating tips for users since 1995 starting with the Newton OS, migrated to the Palm OS, and now the iPhone OS.